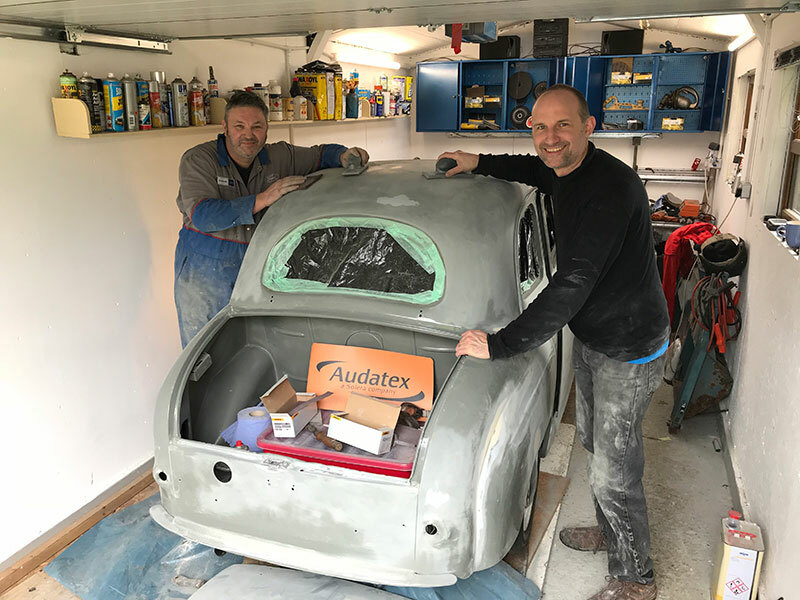 Team Audatex-Mex (Steven Hames and Andy Catlin, Group Technical Coordinator for the Foray Motor Group) are already preparing their vehicle for the Real Rally in June! Steven’s 1954 Austin A30 is receiving a full repaint as it needs to look it’s best for the charity drive through Wales. Andy is taking this very seriously and has embarked on a new fitness regime with regular visits to the gym. His weight loss might well be cancelled out by the large 1970’s Mexican style moustache that he intends to grow for the June event!